Chaeng Vertical Coal Mill has simple process, compact structure, and it has less dust, low noise, high efficiency granular composition, and excellent combustion performance due to its special design and structure. Vertical coal mill is typically designed to process materials in medium hardness, like soft coal or bituminous coal, and it is mainly used in positive pressure pulverizing system of soft coal. It is widely used in Cement Plant, Steel Mill, Thermal Power Plant ,electricity field, metallurgy sector, building material industry, chemical industry, etc. 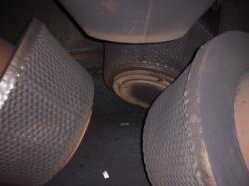 It is an ideal device that integrates crushing, drying, grinding, and grading conveying all together. Coal vertical roller mill is used for grinding and drying all types of coal. According to the display of material production measured data, it can be saving electricity above 30% use of vertical roller mill production per ton raw material than traditional ball mill, and power saving effect is very remarkable. 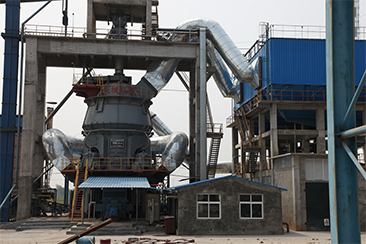 Coal vertical roller mill adopts advanced technology, finished product has high-efficiency distribution and excellent combustion performance. 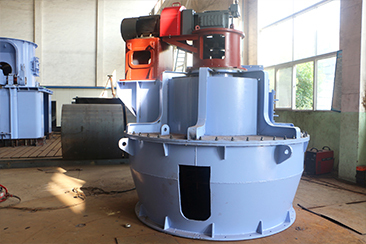 Due to its structure features, coal vertical roller mill, compared with the same specifications, can reduce floor space and floor use-cost greatly than ball mill. The material through the feed tube fell into the center of grinding plate, and then the materials outwards the surrounding area of grinding plate at centrifugal force, to forms a certain thick layer of materials bed, at the same time material was crushed by number of rollers. 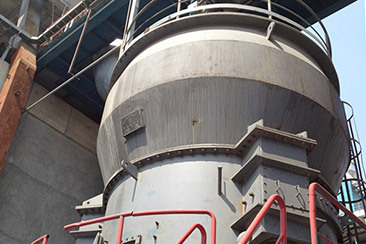 The materials continuous moving to the outer edge of the grinding plate, off the grinding plate materials rising with the hot air which enter from wind ring into the vertical roller mill, through the vertical roller mill shell into the middle of the separator, in this course materials and hot gas got a fully heat exchange, the water quickly evaporates. Separator controls the finished product output size, greater than the specified size are separated and fall back to the plate, while meet the fineness demands are brought through the separator into the finished product warehouse. Cement Production Line of Xinxiang Huaxin Power Group Co., Ltd.